What controls and coordinates all your systems? Your Central Nervous System controls and co-ordinates all systems, organs, tissues and cells of the body. It is through the Central Nervous System that we think, say, and do. The Central Nervous System is involved in everything we experience. All healing and renewing processes are also coordinated by you through the Central Nervous System. In short, a proper functioning Nervous System organizes and heals your body. Physical injury, toxic chemical exposure, nutritional deficiency, as well as emotional overload are all processed by your nerve system – these stresses may result in either a dis-ease or a pathology. Can you alleviate the pain from arthritis? When the spinal bones are misaligned, get stuck and irritate nerves, the end result is what chiropractor’s term, subluxation. Not all subluxations result in immediate symptoms that a person is aware of consciously. Chiropractors are trained to observe the signs of subluxations and increased system tension to restore better function before painful symptoms manifest. Chiropractic adjustments, specifically Torque Release Technique adjustments, improve spinal function by reducing subluxations and system tension. Communication between the brain and the body is improved thereby allowing your body to repair to its best ability (according to the injury load that is present). 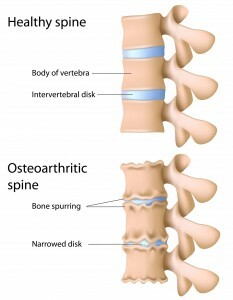 Chiropractic adjustments assist to organize, heal and regenerate your body. A body that is subluxation and tension free results in a better functioning Nervous System.